Magento is an open source shopping cart, that enables just about anyone to sell anything online. HostGator provides an automatic Magento installer, making the install process as easy as a click of a button. Magento is the best eCommerce choice! Magento is by far one of the most popular platforms for eCommerce in use today. The customization options and ease-of-use make it perfect for everyone from beginners to seasoned online sellers. Using Magento ensures a stable platform on which to grow your eCommerce business. Increase your products, increase your customers, increase your volume! Magento is currently used by 240,000 online merchants. 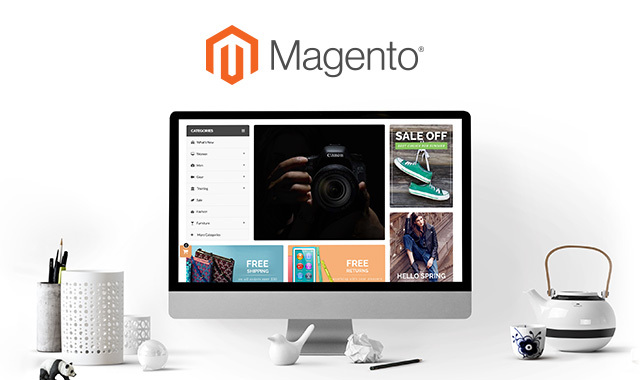 The amount of users are a testament to its scalability and usability; thousands of extensions are available for you to customize your Magento experience.